Fields: Add fields to your AWeber account that you want to pass through to subscribers. We cannot pass through custom fields, however we can pass through the following default fields. You must use these field values for the fields to pass through. Go to List Options > Custom Fields and add the below fields. 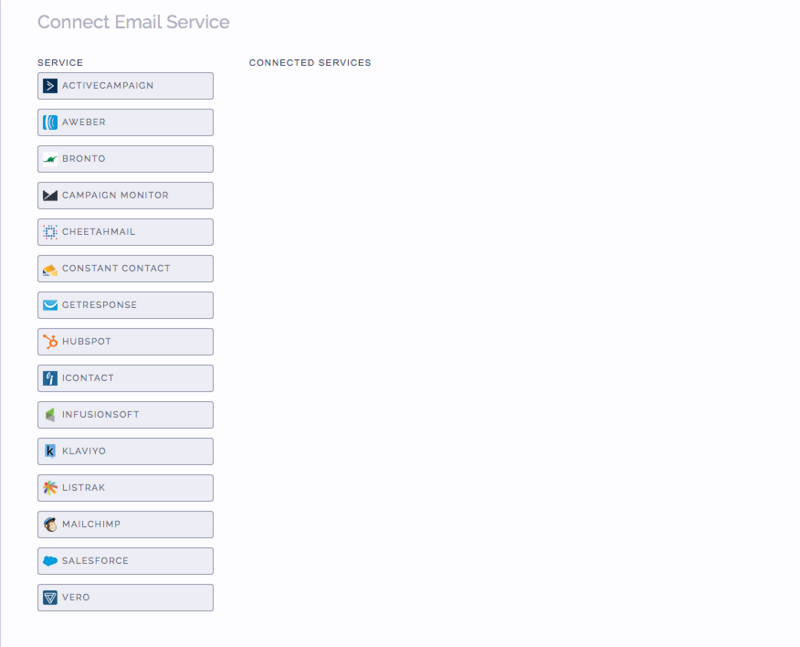 When setting up your campaign, go to the Connect Email Service section and click on AWeber. Add your AWeber login name and password into the fields. Once you successfully input your credentials and click the connect button, we will reveal your AWeber lists. Simply choose a list from the dropdown menu. 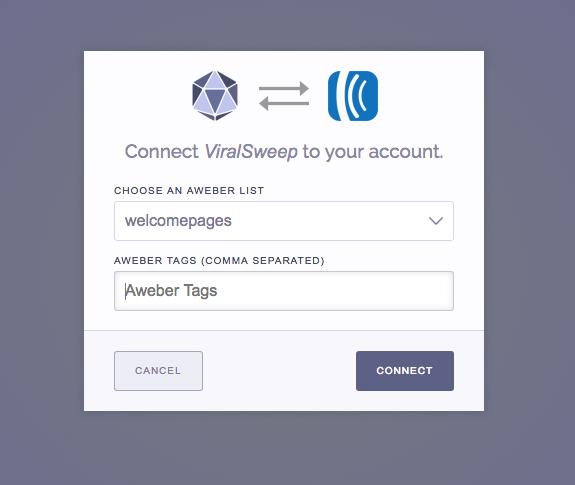 You can also add tags that you want subscribers from ViralSweep to be tagged with. When you are done, click connect. That's it, you're all set. 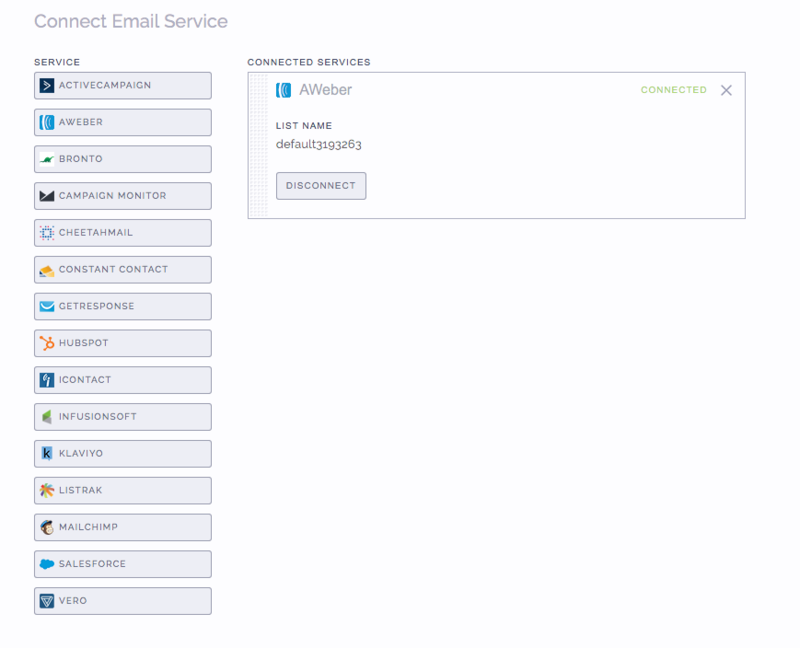 Your campaign is now connected to your AWeber account, and we will send all data right into that AWeber list. The email address entered into the campaign may already be in your AWeber list, so it will not be added again. The email address entered into the campaign has already been entered into the campaign previously, so therefore it is not passed to AWeber. This can happen if you set up your AWeber integration after you have already entered the campaign. AWeber is having a delay in reporting. Try checking again in a few hours. AWeber has the double opt-in requirement in place in order to ensure that you are building an email list of high quality leads that want to receive emails from you. This is a necessary requirement to keep your spam complaints low so that you can have a high delivery rate. 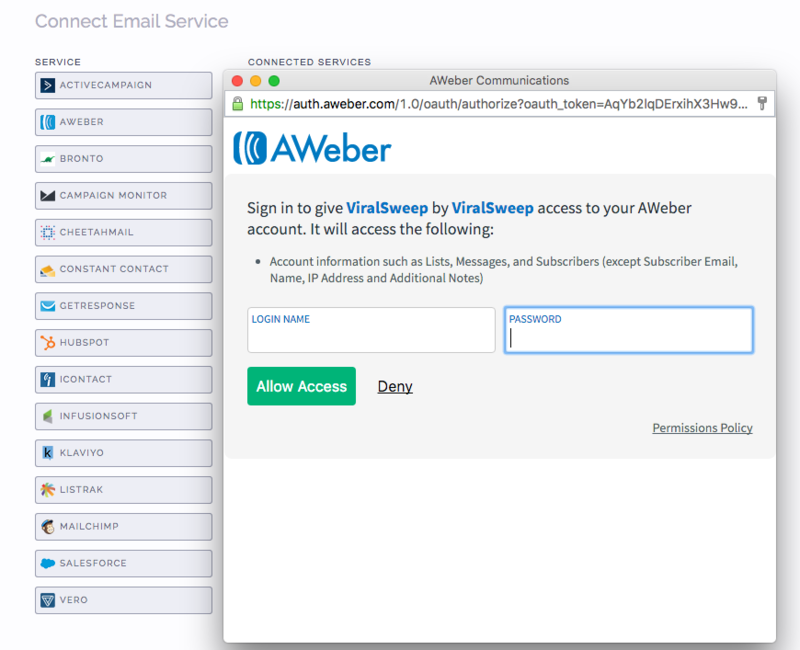 The standard double opt-in email that AWeber sends out is something you will want to tweak in order to have it apply to your sweepstakes, which will help increase your opt-ins. 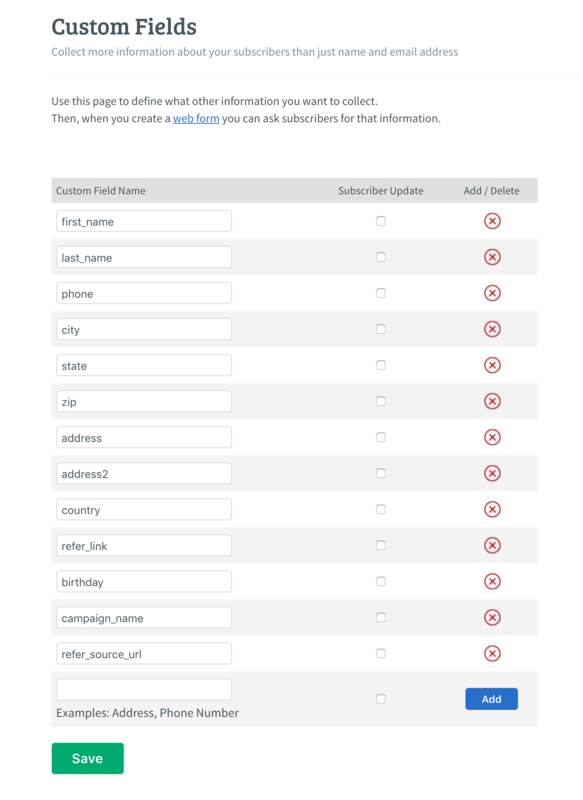 We support Aweber tags, so when you connect your campaign to Aweber, you can also include tags that you want to pass through to your Aweber list with each subscriber. Still having trouble with connecting to AWeber? Simply click the support or live chat icon to get in touch with us.